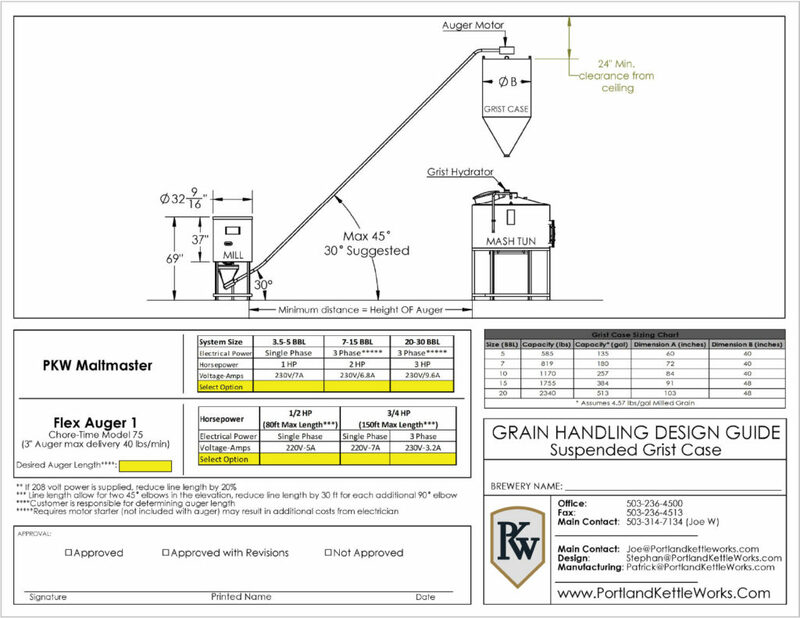 What is a Grain Auger? 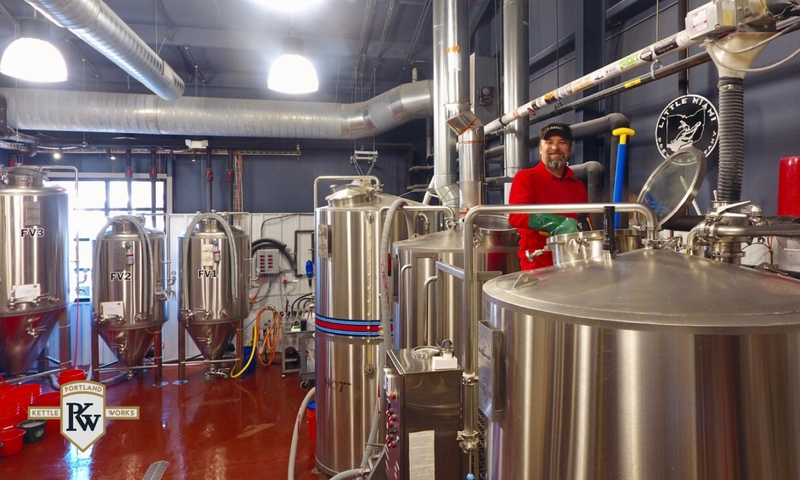 A grain auger is an important element in beer brewing; it is used to transfer uncracked grain to the grain mill, and cracked grain to a grist case for storage and ultimately to the brewhouse for brewing. The grain auger moves grain at a consistent rate by employing a rotating helical screw auger to convey the grain through an enclosed tube. 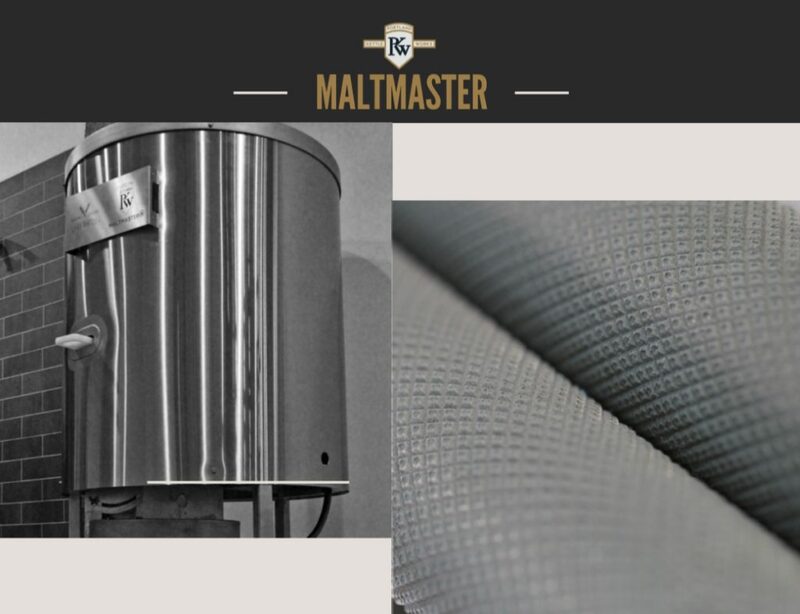 Grain augers are one component of the brewery grain handling system which also includes the grain mill, grist case, and grist hydrator. 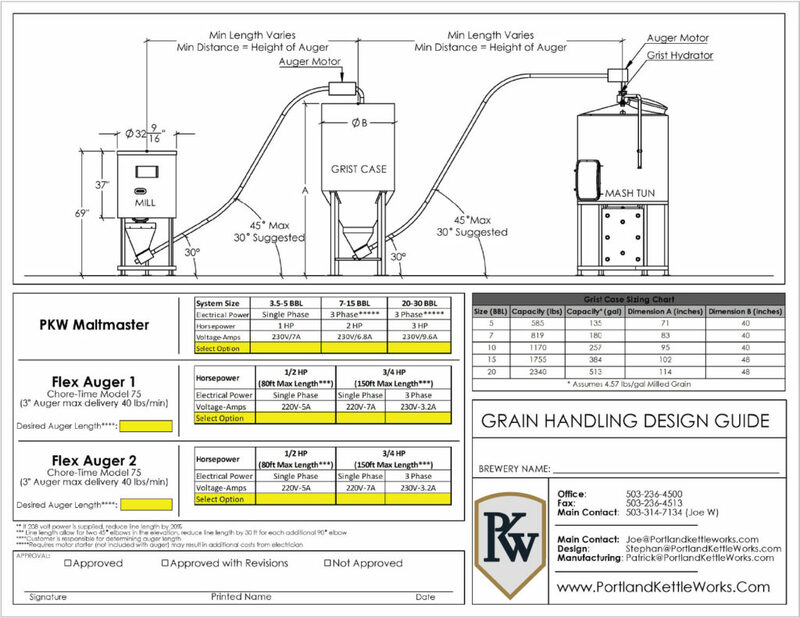 Why Select a PKW Grain Auger?